Employing more than 1.8 million people across the UK and servicing nearly every other commercial sector, transport and logistics firms continue to be very important to the nation’s growth. Confidence remains cautiously optimistic in the sector with continuing government support and significant investments in the UK’s road and rail infrastructure; however, operators remain acutely aware of the challenges ahead. 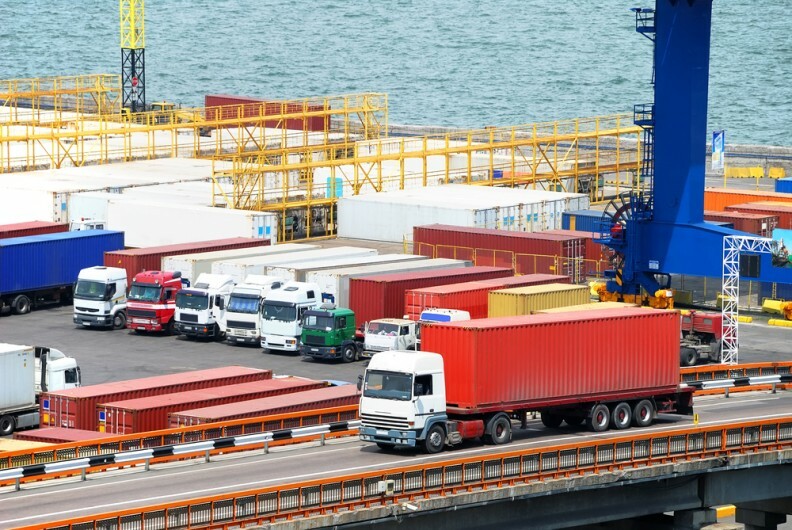 This article summarises some of the key challenges facing the transport and logistics sector today and, as you will see, there is a really close relationship between the opportunities and the threats in this evolving sector. As more and more sales are made online (more than 20% of non-food retail spending occurs online in the UK, according to a recent British Retail Consortium report) there is an increasing demand for vans to service home delivery. A greater focus in selling online leaves retailers with a challenge: how do they actually put goods in the hands of the customer? This has implications for the way in which transport and logistics firms structure their fleets and is making some re-think their models. Today’s transport and logistics customers demand even greater flexibility and this presents opportunities for the sector to increase activity over the year ahead. It is certainly no surprise that retail and the related distribution and haulage sectors were the most optimistic about the year to come, as highlighted in the FTA’s Logistics Report 2016. Advances in technology and improvements of online networks across the transport and logistics sector are creating some very exciting opportunities, reducing costs and improving speed and operational efficiency. Additionally, in the not too distant future, with significant advances in technology and software, driverless trucks and flying drones delivering products and supplying distribution networks could be a real possibility. Whilst these are great for consumers (and operators), inevitably, with a greater reliance on technology the issue of cyber security is not going away, and attacks are becoming more sophisticated. Cyber security is absolutely relevant to transport and logistics firms and, as with physical threats, cyber threats need to be taken very seriously. In short, the UK is not attracting enough drivers and engineers to the sector and, as we have spoken about before, this is one of, if not the, biggest threat to transport and logistics firms today. Many other sectors are experiencing skills shortage, including manufacturing and technology, but the transport and logistics sector has been particularly affected. The introduction of the apprenticeship levy (from April 2017), whilst bringing an additional payroll costs for large employers, is a positive development in this area. Much is being done to bridge the skills gap in the sector, but with no immediate remedy in sight and the age profile of the sector continuing on an upward trend, the skills gap may well continue to hamper economic growth. Find more information on the skills shortage in the transport and logistics sector here. Although the sector will not be one of the hardest hit following the introduction of the new National Living Wage and yearly increases in the National Minimum Wage, transport and logistics firms work with a number of suppliers who do employ large numbers of staff working on the National Minimum Wage, so the impact could well be indirectly passed onto increases in supplier prices in the coming years and months. The new apprenticeship levy also brings a new substantial payroll cost for larger operators from April 2017. Even despite the price of oil falling, rises in wage rates means that the transport and logistics sector remains largely unchanged, and is still very much a low margin activity.